In view of recent updates of the Trend Micro Deep Security, I had to carry out mass action raising agents to the new version. During this operation, the amazement I found that one of the virtual machines operating in a strange mode of suspension. Lost the protection afforded by DSVA and Agent “hangs” with the message “Activation delayed” (infinity). Migrating to another host did not gave, as to reinstall VMware Tools. Very disturbing is the fact that the state did not generate any alerts! Of course uninstalling activated Agent is not such a simple thing. 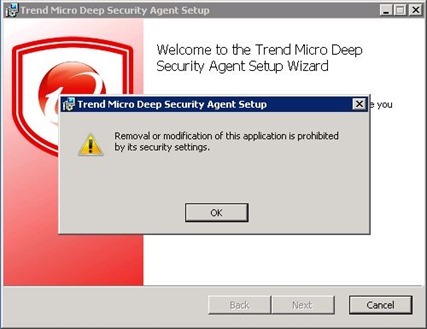 Software asset records defends itself against manipulation (removal or modification of this application is prohibited by its security settings), you can not just turn off the service, “Trend Micro Deep Security Agent”. If, however, we can safely restart the machine it is best to move the service to “disabled” and reboot. Set the parameter “Self Protect” from one to zero. At this point we can install a new version of the agent. In the case described by me, even comb the Internet and Trend Micro web support, I failed to make the DSM saw again the said machine (her condition was fixed for him). Fail over to each activation new installed agent. Ultimately, the matter reported to technical support. 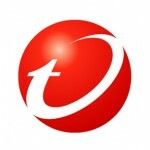 Support for Trend Micro have generally boast demonstrated considerable commitment to the issue. Ultimately, the matter could be resolved, as always, in a little accident. The problem probably lay in the DSM, we patched system, and then reboot the server. After the restart, DSM finally refreshed ourselves about the failed machine and the whole moved forward. At end, I give a link. It is the most complete study on the safety on VMware what I got. Quite different than the normal documentation or blog posts, this is a thesis, so the full scientific methodology. Really worth reading. 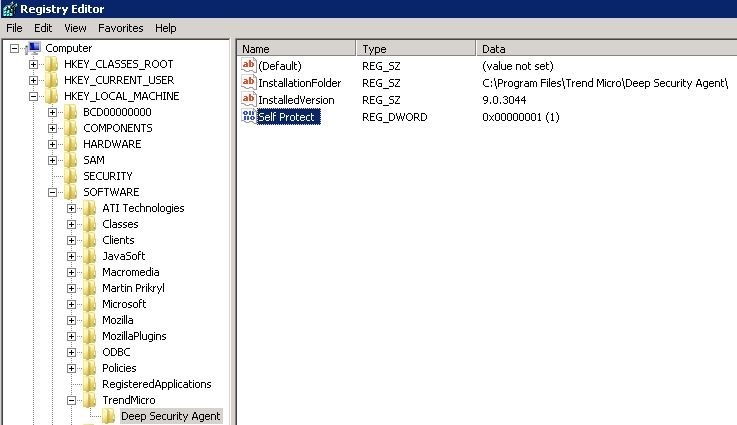 In DSM go Computers -> select the client and press details.. -> in the pop-up window go to the settings menu, and search the “Agent self protection” section. Than the DSM will send the new settings to the DSA, and you can uninstall the client well. You’re right, but it works only when the DSM knows the agent. If you reinstall DSM, you will not be able to do this with the agent activated in “old” DSM. The new DSM display only the message “deactivation needed”, then this can be done only manually. 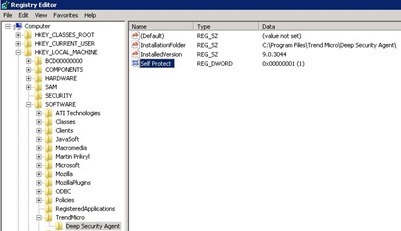 It would be great if we have the same remote install/uninstall client possibility as we had with the OfficeScan.